(London Post) RAF Typhoon jets deployed as part of the NATO Baltic Air Policing mission intercepted two unknown aircraft on a mission over the Baltic Sea. The aircraft were scrambled from Amari air base in Estonia yesterday, to intercept aircraft approaching Baltic airspace without sharing a flight plan. The first aircraft was identified as a Il-20M ‘Coot’ A surveillance aircraft, which they shadowed for a period. The Typhoons were then re-tasked to check out a second unidentified aircraft, which was identified as an An-26 ‘Curl’ transport plane flying north from Kaliningrad. The intercepts are the Typhoon’s fourth tasking since deploying to the Baltic in May. The interception of Russian military aircraft by our RAF Typhoon fighters underlines our commitment to NATO and the security of the Baltic region. RAF air and ground crew are doing vital work to defend the skies above and around the Baltic States and I look forward to seeing that work first hand in the near future. 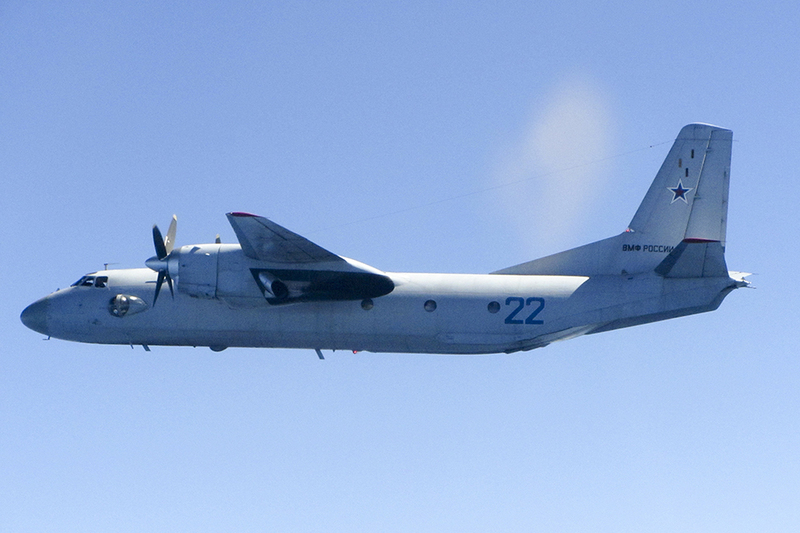 A Russian Curl transport aircraft photographed from an RAF Typhoon, which intercepted the aircraft over the Baltic Sea. In this case the Typhoons were given the nod and the Estonian controllers hit the scramble button. The Estonian controllers picked up the aircraft on their radar picture and evaluated whether it had a flight plan and its heading, height and speed. Once it was clear it was an unknown they gave it an appropriate identification colour which made it stand out on our radar scopes. Once airborne it was my job to ensure a quick and efficient intercept, steering the Typhoons to intercept the unknown aircraft. Four RAF Typhoons deployed to Amari under the command of Wing Commander Stu Smiley on 1 May and are operating alongside Norwegian aircraft between May and August, working to secure NATO’s airspace over the Baltic nations of Latvia, Estonia and Lithuania. The UK is making a range of contributions to NATO’s Assurance Measures which are designed to reassure Allies that the UK takes its collective defence obligations seriously, while improving coordination between NATO nations and partners through education and training, increased exercises, and better use of technology.